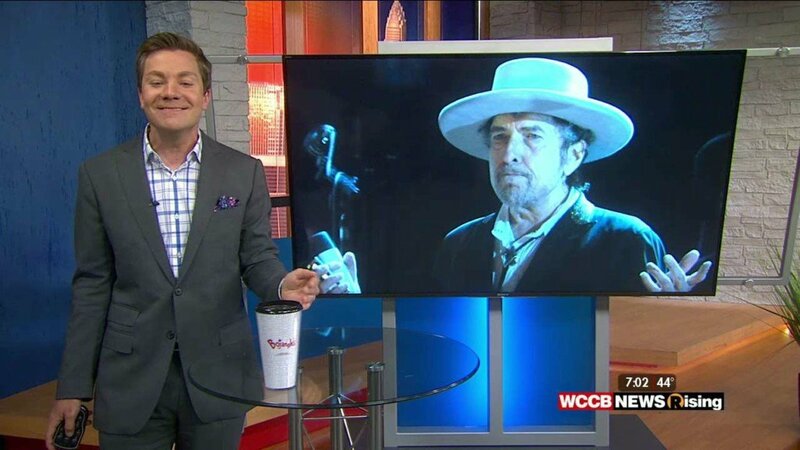 Charlotte, N.C.– Here we go again. 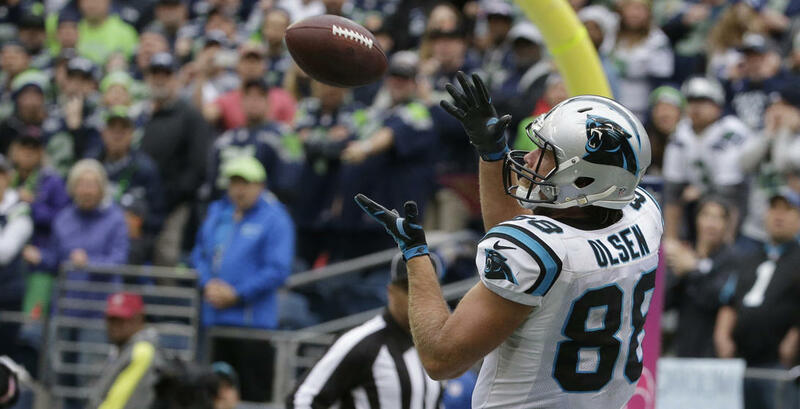 The Carolina Panthers will face a familiar foe on Sunday, as the Seattle Seahawks visit Charlotte for the Divisional round of the 2016 NFL Playoffs. Sunday’s meeting will be the sixth contest between the two teams since 2012, and the budding rivalry will add another entry in to an already exciting catalog. Carolina and Seattle have similar styles on offense and defense. Generally the two teams struggle to move the ball against one another and play a game of field position as the defenses have been superior to the offenses. Four of the previous five games were decided by five points or less, with three decided by exactly four points. The outlier occurred in last year’s Divisional playoff game which the Seahawks won, 31-14, in Seattle. 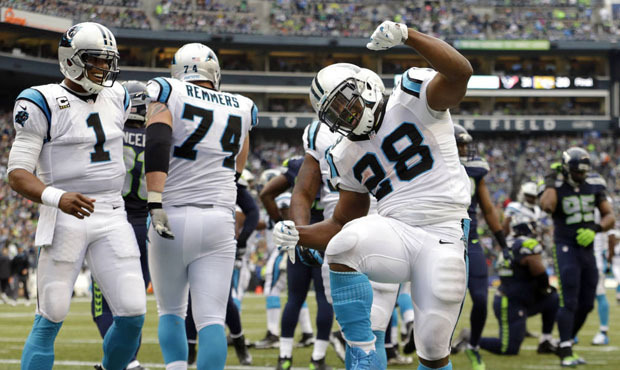 Carolina defeated Seattle, 27-23, in Seattle earlier this season on their way to a 15-1 regular season record. Last week I wrote that Destiny might favor another match up between the Seahawks and Panthers, and she proved me right on Sunday when the Viking’s Blair Walsh missed a 27 yard field goal that would have sent the Seahawks home for the winter. Instead, they float in to Charlotte like a pardoned death row inmate, having escaped Minnesota by the skin of their teeth. Panthers’ fans may be wary of playing a team that has beaten Carolina in four of the last five contests, but the Panthers need to play, and win, games of this magnitude consistently to make this a true rivalry and to be considered a perennial power. Seattle has represented the NFC in the last two Superbowls and it is only fitting that the Panthers must get past Seattle if they want the same honor. This season both Cam Newton and Russell Wilson are performing at an MVP level and each offense has proven capable of scoring against any defense in the league. 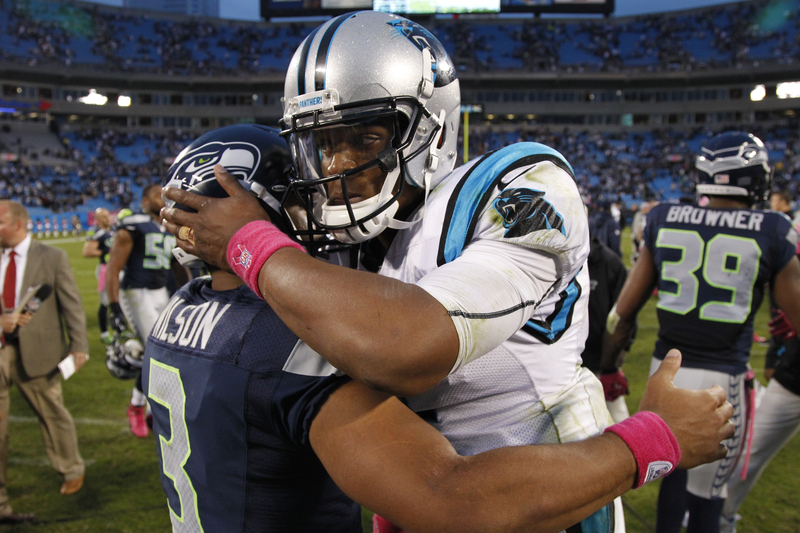 The Panthers led the NFL in scoring during the regular season at 31.5 points per game and the Seahawks were fourth averaging 26.4 points per contest. Weather conditions should be more favorable in Charlotte this Sunday than they were in Minnesota for the Wild Card game last week, so I would expect offensive coordinators Mike Shula and Darrell Bevell to unleash their full repertoire of plays. Despite facing strong defenses, I still expect both teams to move the ball through the air due to the brilliance of Cam Newton and Russell Wilson. They have both mastered the read-option and refined their skills as passers. Neither Newton nor Wilson has a Pro Bowl wide receiver although Newton relies heavily on Pro Bowl tight end Greg Olsen, and Seattle wide receiver Doug Baldwin tied for the league lead in touchdown receptions with 14. The receivers on either team may not be household names but each unit has exceeded expectations and made big plays when necessary. Rookie Devin Funchess has emerged as a consistent target for Cam Newton and will be a integral part of the game plan Sunday. Carolina wide receiver Tedd Ginn had a career year catching ten touchdowns, but was plagued by drops throughout the season. The Panthers will need to take advantage of every scoring opportunity against a usually well disciplined Seahawks’ defense. Ginn has shown the ability to free himself from defenders with his speed, but he has to make the routine catches when his number is called. The offensive linemen deserve credit as well for providing clean pockets and time for Super Cam and Danger Russ to deliver accurate passes down the field and for opening up running lanes for the bevy of running backs each team has had to deploy due to injury. Both teams will want to run the football enough to keep the other team honest and create opportunities in the play action passing game. I wouldn’t expect either team to have tremendous success running the football, but winning the time of possession battle and controlling the line of scrimmage is key in a game where a few plays will determine the winner. Jonathan Stewart is expected to play, so the Panthers will undoubtedly attempt to establish the running game and the Washington native, Stewart, is always enthused to play against his home state team. Though neither was historically elite, both team’s defenses were among the elite this season. 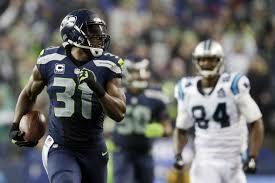 Seattle fielded the stingiest scoring defense for the third consecutive season, only allowing 17.3 points per game. 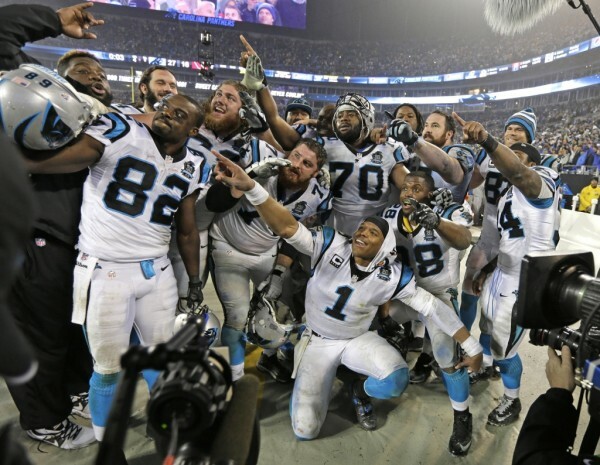 The Panthers were not far behind at 19.2 points per game and led the league in forced turnovers with 39 combined interceptions and fumble recoveries. Both defenses are loaded with talent. 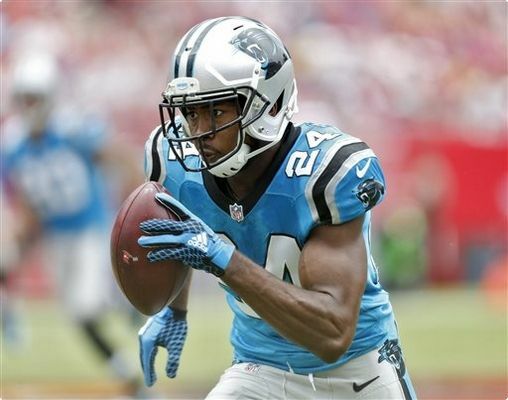 Carolina cornerback Josh Norman, linebackers Thomas Davis and Luke Kuechly, and defensive Tackle Kawann Short each had All-Pro seasons while safety Kurt Coleman tied for second in the league with seven interceptions. Seattle still has the Legion of Boom with Richard Sherman, Earl Thomas, and Kam Chancellor all being named to the Pro Bowl. Defensive lineman Michael Bennett was also a Pro Bowl selection. Hopefully, the Panthers will see to it that they are available to play in the Pro Bowl. Forcing turnovers is the strength of the Panthers’ defense. 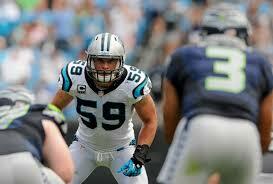 Carolina was sixth in the league with 44 sacks. Pressuring the quarterback is the key to any defense disrupting the flow of an offense and creating turnovers. Elusive quarterbacks like Russell Wilson make this task more difficult and put pressure on defensive backs by extending plays so that wide receivers have more time to find holes in the defense. 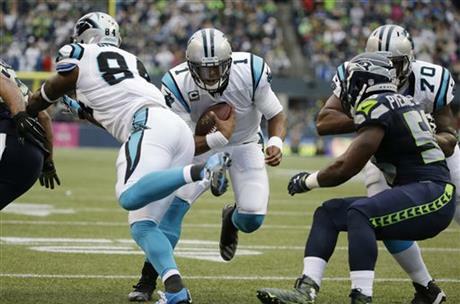 The Panthers must maintain a difficult balance between pressuring Wilson, while also containing him and not allowing him to make big plays as a runner. Carolina has the pass rushers and linebackers to execute such a game plan, but it is easier said than done against a special player like Wilson. 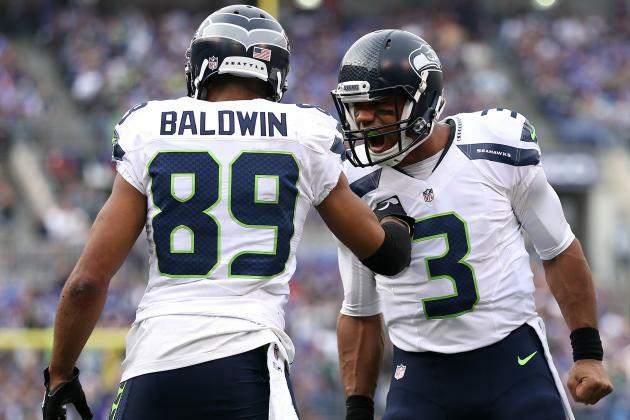 Special teams are often overlooked when considering the strengths and weaknesses of a team, but often the special teams units play a big role in deciding playoff games, as evidenced by the missed field goal in Seattle’s game against Minnesota. A big punt return by Ted Ginn or Seattle rookie Tyler Lockett could give either team a much needed field position advantage or even put points on the scoreboard. Carolina had a league high four field goals blocked during the regular season, as well as one extra point which led to the first ever two-point conversion return of a blocked extra point. Carolina and Seattle are fairly evenly matched on offense and defense. Cam Newton and Russell Wilson will make plays passing and running because that is what they do and neither can be completely contained for an entire game. I would expect Sunday’s game to be decided by turnovers or a special teams play. I give Carolina the advantage in creating turnovers, but in a one game situation, Seattle’s defense is more than capable of making a game changing play. Seattle has the stronger special teams, but if Carolina can execute the fundamentals such as kick coverage tackling and blocking for kicks, the Panthers can negate the special teams advantage. I see the Panthers winning another closely contested game 21-17. Tom Brady and Peyton Manning are coming to the end of their careers and thus a rivalry that has captured the attention of NFL fans for more than a decade. Cam Newton and Russell Wilson are two of the most exciting players in football, and the future of the quarterback position. Each player has elevated his play and visibility nationally, and we may be witnessing the next great quarterback and team rivalry. Wilson and the Seahawks hold the edge thus far, having won four times head to head in five games. They have also won a Superbowl during the period in which this rivalry has bloomed. 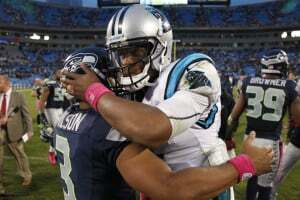 Cam Newton and the Panthers are in a prime position to solidify the rivalry in the eyes of the national audience by beating the Seahawks twice in one season and knocking Seattle out of the playoffs, while marching a step closer to the Superbowl.